This week in On Shelves Now we review Legacy 253, New Mutants 29, X-Factor 223, X-Men 15.1, and Uncanny X-Force 13. We then take a second try and the X-Cast's favorite new game... Who Am I? In Retro Reviews we summarize New Mutants 77 and Uncanny 248. And because of our prolonged abscence we throw in a Fastball Special for good measure. You can download the episode right here or on ITunes. Don't forget to leave us review on iTunes while you are there. Follow us on Facebook and Twitter as well. Nefaria commands this! 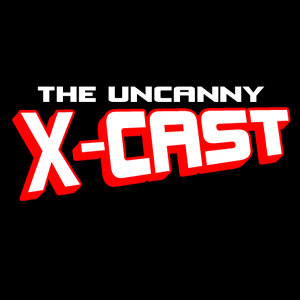 This episode in On Shelves Now we review Legacy 252, Schism 2, X-Factor 222, and Uncanny X-Force 12. We then break out another new and innovative segment called "Who Am I?" And in Retro Reviews we look at Excalibur 11, and Uncanny 245. You can download the episode right here or on iTunes. Don't forget to leave us reviews on iTunes, visit us at Facebook and Twitter, and of course at our forum.